From Fried Green Tomato Chicken to our Wild Mushroom Ravioli, the possibilities are endless. Crave decadent Desserts? Sample our Signature Macadamia Kahlua Pie or Italian Cream Cake. If you’re a Foodie, we’ll make your taste buds happy! 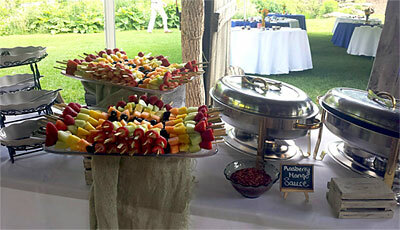 Whatever your selection, the Frugal Gourmet Catering Staff will excel at creating an extraordinary dining experience. This Classic style creates a perfect environment for guests to pass food, chat, and get to know each other. Well paired with Destination Wedding Receptions. Can also be “Tapas” Tastings of Hors D’oeuvres with platters of tidbits to taste, pass, and nibble. A casual yet sophisticated style. Passed Hors D’oeuvres can be combined with an Entrée Buffet. Mashed Potato Bar – Mac N Cheese Bar – Pasta Bar – Chili Bar to name just a few! Tastings: Once you have made a tentative menu selection. We will be happy to set up an appointment! Next Step: When a final menu selection has been made, we will send a contract with deposit requirements (25% of estimated bill) and confirmation of date, and schedule a phone consultation 10 days prior to your event a final guest count will be taken. Questions? We are here to make your day special. 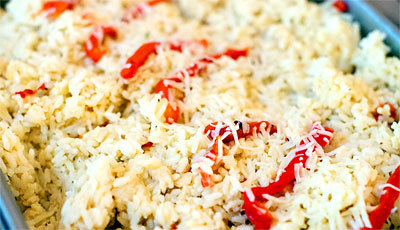 Leftover Policy: we will supply to-go packages for leftover food or for shortages in your guest count. ©2019 The Frugal Gourmet Catering Company, Banner Elk, NC. All Rights Reserved. 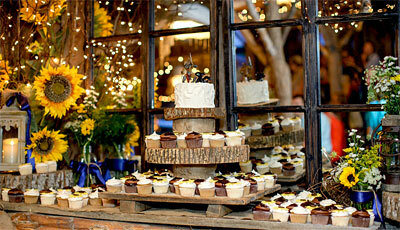 Affordable Catering For Foodies • Wedding Catering for the Western North Carolina High Country.